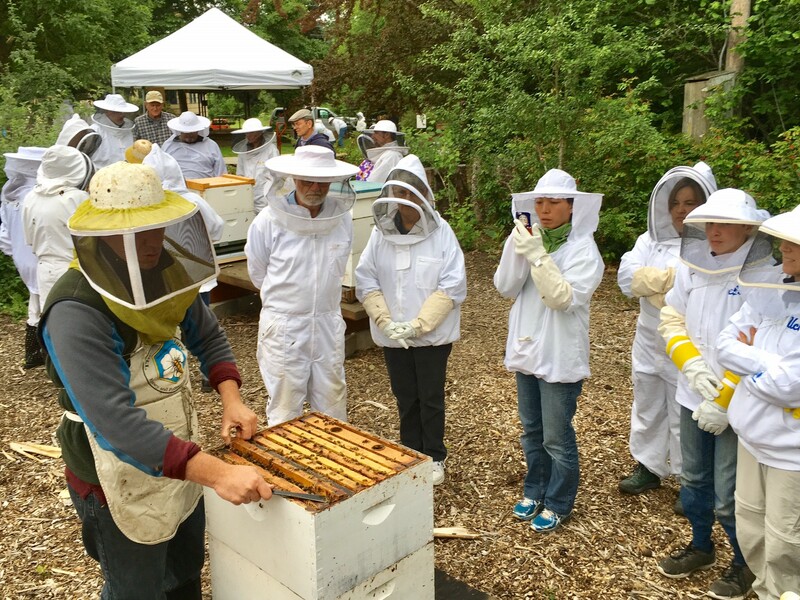 We will be having Linn-Benton Beekeepers Association field day on Saturday, June 9th from 10:00-2:30 at the OSU Apiary located at the Oak Creek Center for Urban Horticulture. The address is 844 SW 35th St in Corvallis. Please follow the signs for parking across the street from the apiary. Check-in starts at 9:00 am. Space is limited because of the number of hives available for inspection, so sign up early to get one of the spaces. In the morning we will have three presentations happening concurrently. We will breakup into 3 groups and rotate through the three presentations. We will then take a short lunch break (box lunches are no longer available, please bring your own lunch). After the lunch break, we will split into groups and get into the hives at the apiary. You will be led by an experienced beekeeper, who will show you the things you should be looking for while inspecting your hives. Experienced beekeepers attending will be getting into hives that are having issues. To attend, each person will be required to sign an OSU Waiver and Assumption of Risks Agreement OSU OSBA 2018. Please print it out, sign it and bring it the day of the event. Things to bring: Veil, jacket or suit, gloves and a lawn chair. This year, each person attending must complete a registration form so that we have the correct number of those attending and also have a correct count on lunches purchased. Registration form for the June 9th, 2018 LBBA Field Day at OSU. Are you a paid member of LBBA or LCBA? We will be having two tracks at our field day based on beekeeping experience. Please select which best describes your experience. Beginner/Intermediate: New to beekeeping or have had bees for a couple years but have NOT successfully overwinter a hive for 2 consecutive years. Advanced: Have at least 2 years of experience and have overwintered a hive for 2 consecutive years. We will be taking a lunch break between the workshops and the hive inspections. Box lunches are no longer available for purchase, so you will need to bring your own lunch. Sorry.